The Parametric view is not visible in the main menu. There is a reason for this. If you use the parametric view in your project, you should use symbolic addresses instead of absolute ones. To show the parametric view, you must open it using the open command. 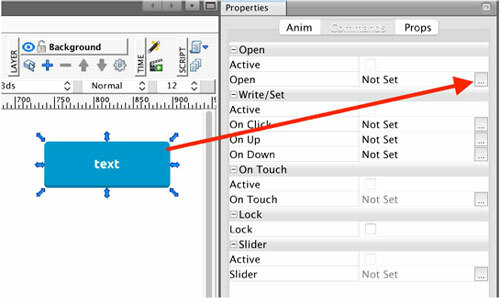 Select an element you want to use as the open command, and in Properties, select Commands and click on the Open command. You will be presented with the Open Dialog. 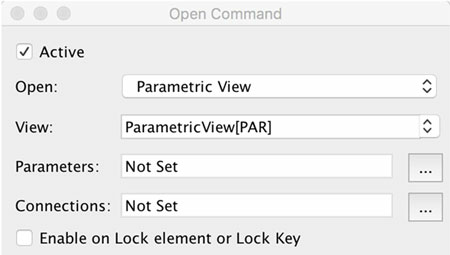 For the Open command, use Parametric View and select your parametric view. 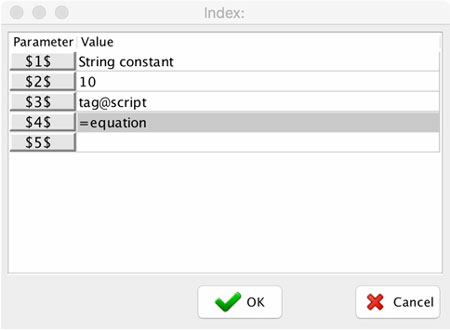 If you set a Tag inside a parameter, mySCADA will pass the tag value as a parameter during the open command. In addition, when you specify an equation, mySCADA will evaluate the equation and pass the value as a parameter. You can also specify a connection during the opening command. Imagine you have multiple production lines, each controlled by one PLC. 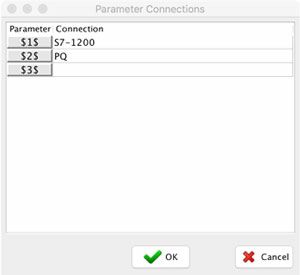 You can create one parametric window for one production line; then, when opening your parametric view, you can pass the connection to the given production line. This way you are able to have one view for all lines by simply passing the connection. Now specify the connection or even multiple connections.